In the workplace wooden pallets can be hazardous and an unsightly liability. Not only are they heavy, containing nails & splinters, but they harbor insects and bacteria. Exposure to wood dust alone has long been associated with a variety of adverse health effects and now it has been classified as a carcinogen. As a safer alternative, corrugated pallets decrease the risk of injury while handling and eliminate hazardous material in your warehouse and under your product. The International Standard for Phytosanitary Measures 15 (ISPM15) requires that all raw wood be either fumigated or heat-treated when crossing international borders. This means that for every shipment on wood, you'll need a certificate. 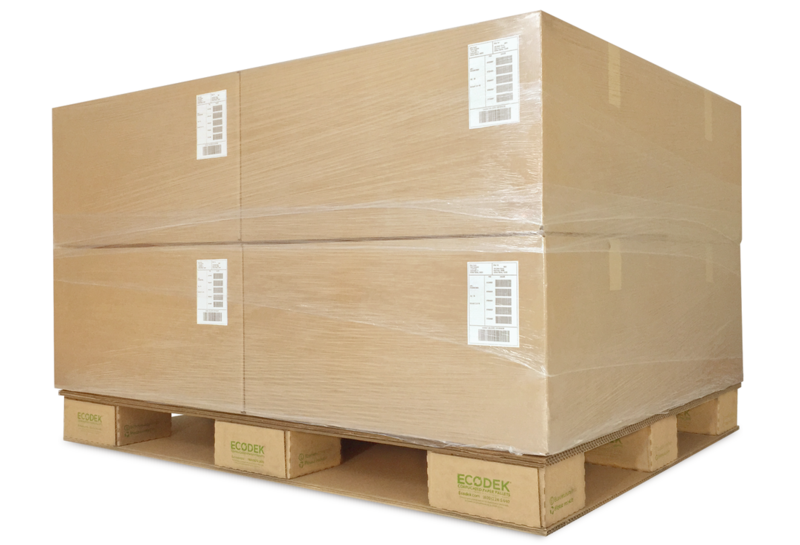 Ecodek Corrugated Paper Pallets are exempt from ISPM 15, making this a worry free pallet. 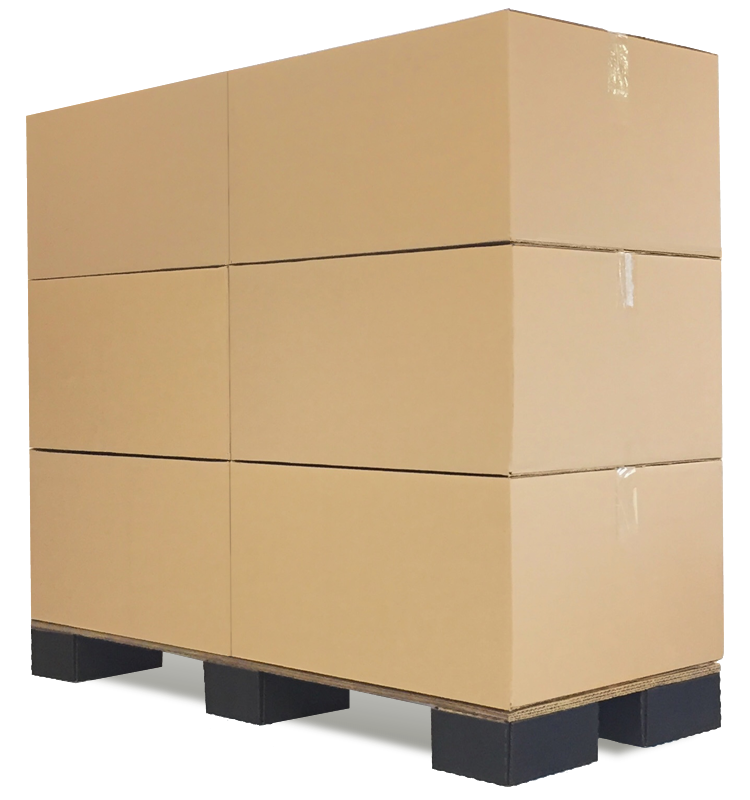 GL Packaging developed the Ecodek Pallet to offer an alternative for export shipments, saving costs and reducing the time and effort needed for inspection of wood pallets and heat-treating pallet paperwork. Since 1992 GL Packaging has developed many solutions that have made this pallet not just beneficial for export shipments, but a sustainable solution that is cost effective for domestic shipments as well. Why switch to Corrugated Pallets? Save money, more economical than new wood and plastic. ​Ecodek pallets also lower costs associated with pallet use. Corrugated pallets differ from other pallet types, in that there is not a standard design/stock item. At no cost to you, GL Packaging will learn about your application, it's route from the production line to your customer's dock and engineer a solution to fit your application, as opposed to your application fitting a standard pallet. The result will be a cost effective pallet that will save your company money and free you from worry. Don't be mistaken by the material used, we have developed corrugated pallets that have carried over 3 metric tons. Ecodek Pallets are engineered strong yet weigh 75% less than wood or plastic pallets which protect your workforce and require less fuel when transporting, reducing your freight charges, price per pallet, and overall cost to get your product to its final destination. Ecodek Corrugated Pallets are a great solution for reducing costs and being environmentally conscious. Today more and more companies are going green, looking for solutions to help the environment, and reduce pollution while saving money. ​Meet our new customized black Ecodek corrugated pallet. Perfect for POP displays to meet National Retailers guidelines. It has been approved and can be seen in retail stores such as Walmart or Target. Trending now big box retailers are allowing manufacturers to use Ecodek corrugated pallets to lowers their costs and benefit everyone along the supply chain, down to consumers.